Unitec's Research Bank enables anyone in the world to access Unitec research. 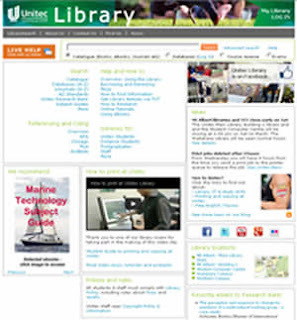 The Research Bank is an open access repository for Unitec research managed by the Library. Below are some of our recent developments. We recently added new functionality to link Research Bank authors to the author’s staff profile in the Unitec Staff Directory. For example see this record in Research Bank, if you click 'view profile' next to the authors name you will go to their profile in the Staff Directory. We also have have links to the research supervisor's profiles, for example see supervisor link in this record. Research Bank items are discoverable via Google Scholar. For example, see this google scholar search and note the 'researchbank.ac.nz' link to right of the 'Garden city' title in the list of results takes you to the full-text item within Research Bank, while the title links to the entry record. Research Bank items are also able to be accessed via NZResearch.org and other global Institutional Research Repository (IRR) aggregators such as OpenDOAR and Scirus. Below is an update on the usage of Research Bank in 2012 with comparisons to past years. We had 33,465 visits* to the Unitec Research Bank in 2012 (blue line) compared to 24,148 in 2011 (orange line), which is an increase of 30%. Only 19.74% were returning visitors*, which is substantially less than Unitec Library’s other web services. The institutional research repositories (IRR) of AUT, Otago and Waikato University also have a much higher percentage of visitors who are new compared to those who are returning. As can be seen from the table below, from 2011 to 2012 the number of file downloads almost doubled and page views have also increased substantially. The 3 authors most downloaded were: Jenny Ritchie (20,691), Sven Damm (8,599) and Ken Blaiklock (7,673). We now have a total of 803 items in Research Bank. We added 243 items in 2012, which is a slight increase on the 237 items added in 2011. For more information about Research Bank usage see the Research Bank statistics or contact the Library: libadmin@unitec.ac.nz. To deposit your research into Research Bank contact the library at researchbank@unitec.ac.nz. * the information in this report is mainly from statistical data provided by the Research Bank system. However, some was sourced from Google Analytics and this has been marked with an asterisk . ** Research Bank is open to the public and is not the same system as ROMS which is an internal system for managing Unitec research outputs. Research Bank staff in the Library and ROMS staff in the Research Office work together to avoid duplication of effort. An update on developments in the Library and Student Computer Centre over the past 6 months. Jade Peterson and Jeanne Reihana from the Library attended the 5am karakia (blessing) for the new Wharekai, Whare Manaaki on 30/11/12 and were kaimahi (workers) for the celebratory breakfast. Waitakere Campus Library hosted Mereana Taungapeau (Alexander Turnbull Library) who explained how to access Maori music material through the Turnbull archives. Beautiful posters promote awareness of the five TNK principles in all our Libraries. 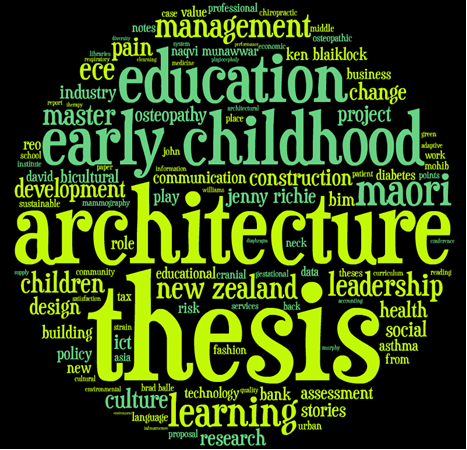 Maori subject headings continue to be added to bibliographic records. Information literacy (knowing how to deal with information in all its forms) is a vital academic literacy, a central part of the Living Curriculum and key to success in the workplace. Our new framework and information literacy rubric enables lecturers to easily map the information skills their students already have and develop a plan with their liaison librarian. We removed the tall tables outside the Student Computer Centre in the hub and created a small "wireless lounge" from "found furniture". This has been well used by students for conversation and informal learning and we hope to create more of these spaces. New functionality in Unitec's Research Bank now links the names of research authors and supervisors to their staff profile in the Unitec Staff Directory. 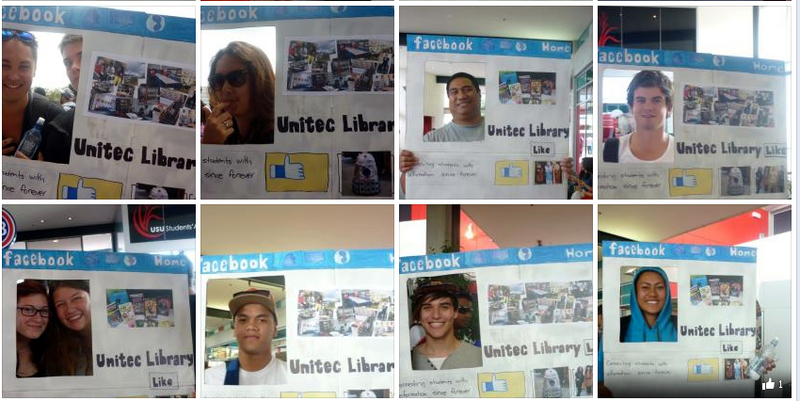 From 2011 to 2012 the number of file downloads from Unitec's Research Bank almost doubled and page views have also increased substantially. The most downloaded authors were: Jenny Ritchie (20,691), Sven Damm (8,599) and Ken Blaiklock (7,673). More details. We have been converting our Flash based tutorials into YouTube versions so they are more portable and accessible via a larger range of devices. In addition to our student rovers at the Main Library we now have a rover at the Northern Campus Library and Learning Commons. We redesigned our website homepage in response to user surveys and testing. We have also made the site more accessible via mobile devices. As part of the 'first six weeks' project, a team of librarians maintained a presence in the Hub to promote the Library's 'Live help' online chat service, the Facebook page and library services in general. As a result of that our Facebook and Live help are buzzing. 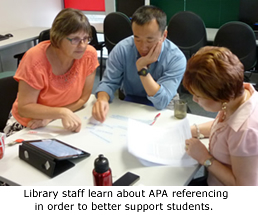 We regularly 'take the Library' to Maia and Pacific Centre, and make similar visits to international students and BBUS students. This is all about embedding ourselves into the student journey. Librarians have been collaborating with lecturers to teach students about such things as: creating a search strategy, evaluating what they find on the internet and how to be academically honest. LIANZA 'Ipukarea' Conference in Palmerston North (25/11/12) - Adrian Jenkins gave a 'lightning session' presentation on his Masters research into the value of verbal praise and recognition. AASWWE 2012 Symposium Celebrating Diversity in Adelaide (27/11/12) - Lydia and Te Pora gave an oral presentation about navigating the challenges to inclusivity. We enhanced access to the Pasifika material in the collection by retrospectively adding a local heading, 'Pasifika', to this material. In the past 6 months another 77 print journal subscriptions were moved from print to online. This continues the move to electronic resources, giving greater access and flexibility for study for students and staff. The Library has improved its records management in line with Unitec policy and NZ law. We are now aware of which records we must retain and how to document records disposal. Last year we reduced our top tier of folders on the staff file server (H drive) from 101 to 6. We are happy to share our record management learnings with others. Our newest wall ornaments in both the Main Library and B1 Library are heartsaver defibrillators which can 'bring people back to life' in the event of a heart attack. Many staff have attended training. Waitakere Joint Library also has a defibrillator on level 1.
curriculum in line with Unitec's Environmental Sustainability Strategy. We held a 'Summer Festival of Professional Development' in December to stay up-to-date and equip us to better support our customers. Session topics ranged from 'MS Office' and 'APA Referencing' insights to the 'Creative Commons' and 'Google's filter bubble'. Library staff presented a number of sessions at Unitec symposiums and kick-offs including: Opening the Door to Open Access, Free your conscience: Finding and using images legally, Meet me in the Cloud (about Google Hangouts & Skype) and Weaving the web and the weft: Starting the research journey (a collaboration with Dr Jo Howse). Over the Easter break the Unitec libraries will be open at times different from their regular hours. Check the details below or see the library hours page. Turnitin is an online tool that you use to check your assignments for originality. Your teacher may ask you to use Turnitin with a class enrolment ID. To do this you must first get the class enrolment ID and password from your teacher, and then create a Turnitin account. 2. Create an account at www.turnitin.com, or if you have an account with Turnitin already, enrol in the 'Draft Dropbox' class. Looking for journal articles? Try Articles-Express! Unitec Library subscribes to thousands of high quality eJournals which contain useful articles for your assignments and research. Our new Articles-Express search tool makes it easy to access those articles. Articles-Express delivers search results VERY FAST and there is no need to login to do the search. Enter your search terms eg "black and white ruffed lemurs"
To access the full-text of an article just click on the title of the article (if you are off campus or using a mobile device you may be prompted to login with your Unitec login at this point). Databases - multisearch - much slower to search but has broader coverage. If you are looking for articles in New Zealand publications try searching Newztext Plus or some of the databases listed in our Aotearoa subject guide or our Maori Language and Culture subject guide. We have named this search tool "Articles-Express" but the supplier (Ex Libris) calls it the "Primo Central Index". Many academic libraries around the world use this tool but often call it different names. See more information from Ex Libris about the Primo Central Index. We are still fine-tuning the configuration of Articles-Express so please contact our systems admin team if you spot any bugs, or leave a comment below. SFX also enables our "Find eJournals A-Z" listing so that was also unavailable. We escalated this problem to our supplier who fixed the problem on Saturday morning - they are now investigating what the cause of the problem was so we can prevent it happening again. We apologise for the inconvenience. If this problem happens again please contact us, and see other ways to access articles below. Check out the new-look library page launched at the beginning of 2013. We have made the links for About Us, Contact Us, Find Us, and Hours clearer under the page header banner. 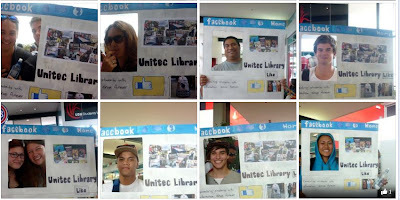 Services to - the ways in which the Library helps the sections of the Unitec community. The News highlights information important to our users. The other sections of the page will be used to promote other topics and/resources that may be of interest to students at different times of the year. These changes were made in response to user feedback to our 2012 website survey that the site homepage design was a bit cluttered and the navigation needed some improvement. The changes were tested with students before going live. Some functionality enhancements were also requested and these are being implemented in stages this year. We hope you like the new layout and welcome your further feedback. You can now view current bookings for group study rooms online. However you must still contact the library to make a booking - contact us in person at the library, or by email, or phone (09) 815 4185. There are 7 group study rooms located at the Main Library on the Mt Albert Campus. Room 1 at the Main Library has a wall-mounted monitor. Some of the study rooms have whiteboards and video/DVD players. Whiteboard markers are also available from the main service desk. 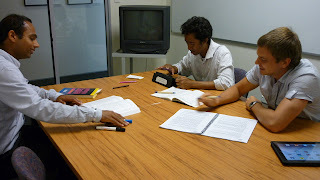 At the Waitakere Library on Level 3, there is one group study room. More about using the study rooms. On Saturday 16 March, the Unitec main library, Building 1 library and the Student Computer Centre will be open from 9:00 am to 1:00 pm. The Waitakere Library will be open from 10:00 am to 4:00 pm, as usual. The Mt Albert campus is host to Sounds in the Sun, the country's biggest orientation event on that day.